Wedged between central Thailand and the Cambodian border, eastern Thailand doesn’t get nearly as much of the glamorous attention of tourist brochures as southern or northern Thailand – yet it’s home to some of the country’s most stunning beaches, as well as some truly multicultural cities that are exciting to explore. These are our tips for visiting eastern Thailand. Out in far eastern Thailand, not all that far from the Cambodian border, Koh Chang is the country’s second-largest island after Phuket in the south. While almost all of the island’s development is on its western side (the east remains largely untouched), Koh Chang – part of the Mu Koh Chang National Park, but not requiring payment of national park admission fees for the parts of the island most visitors will spend time in – is big enough that it manages to combine an undoubtedly busy, touristy and fairly brash, almost seedy scene in some parts with a more sedate, less tainted and altogether more pleasant vibe elsewhere. Koh Chang boasts some undeniably stunning beaches – among the prettiest Khlong Phrao, Had Sai Kao (White Beach), and Had Tha Nam (Lonely Beach) – and a significant expat population means you’ll find just about any kind of food and drink you might be craving. 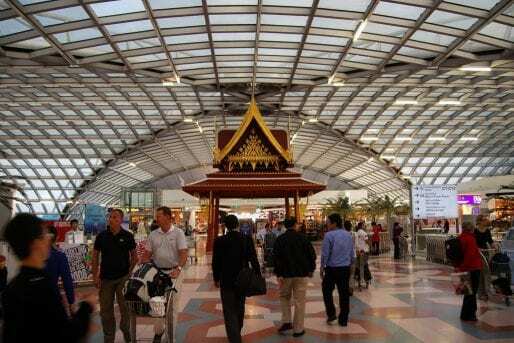 Accommodation options range from bargain bungalows to high-end resorts, while it’s easy to get here from Bangkok’s eastern bus terminal by bus or minivan (around five hours), or by way of a short but fairly pricey Bangkok Airways flight from Suvarnabhumi airport to Trat, followed by a short hop by ferry. All but unheard of to most visitors to Thailand, in this writer’s view Koh Kood – a surprisingly sizeable island in the same archipelago as Koh Chang (see above), yet comprising the district with the smallest population in the whole of Thailand – is among the country’s most stunning islands, if not the most spectacular of all. Long shielded from the effects of mass tourism by a focus on catering to package holidaymakers rather than independent travellers, in recent years Koh Kood has become much easier for the rest of us to visit with ease. While it still remains slightly more expensive than both its neighbours and fellow islands elsewhere in Thailand, it’s still possible to find a good deal here, and this is one island that should be on your itinerary (but, along with Koh Chang, avoid the May-to-October wet season, which hits this coast particularly badly). Don’t expect raucous entertainment, or even much in the way of restaurants or bars outside the good number of hotels, guest houses and resorts that are dotted across the island. (You won’t find a single branch of 7/11, either – although there is an ATM.) Instead, Koh Kood is suited to couples looking for a romantic getaway, and families with young children in the business of spending time with each other and relaxing on the sand. But what this island does offer, alongside a couple of attractive waterfalls and an enrichingly laid-back vibe, is mile upon mile of simply breathtakingly beautiful beaches (among the most noteworthy are Had Taphao/Had Nam Leuk, Ao Ta Khian, and Ao Noi), waking up to the sight of which will have you pinching yourself day after day. Reach Koh Kood by speedboat from mainland Trat or Koh Chang. A favourite of Bangkokians looking for a white-sand weekend escape that’s within a Friday-evening drive of the capital, small and pretty Koh Samet – part of the Khao Laem Ya – Mu Koh Samet National Park, and attracting a dual-priced admission fee of 40 baht for Thai adults and 200 baht for non-Thai adults – has also been firmly on the radar of overseas tourists for years now. Take your pick of pristine beaches from busy, pricey and high-energy Had Sai Kaew (Diamond Beach), with its large-scale resorts, restaurants, bars, nightclubs just off the sand, jetski and banana boat operators, roaming food and massage vendors, and impressive nightly fire-dancing shows; similarly nightlife-heavy Ao Phai, high-end Ao Phrao, or one of the more serene bays like Ao Nuan and gay-popular Ao Tubtim. There isn’t a whole load to do on Koh Samet other than sunbathe, swim, eat, drink, and party, but that suits most visitors just fine. Whichever stretch of sand you choose, Koh Samet is reached by regularly departing public ferries and speedboats from piers in mainland Rayong’s Ban Phe, itself a three-and-a-half-hour bus or minivan ride from Bangkok’s eastern bus terminal. Quaint, multicultural Chanthaburi is a feast for the senses. It’s a bit of a slog from Bangkok – a four-to-five-hour bus or minivan ride from Ekkamai’s eastern bus terminal – but the at once bustling and yet relaxed, provincial feel to the city is ample reward in itself. Stroll past crumbling French colonial shophouses along the green-feeling stretch of Chanthaburi’s old town that backs onto the city’s attractive riverfront, or walk the streets and gawk at gem traders who are themselves peering down microscopes at precious stones. And witness the peaceful cultural and religious mash-up that this place is known for, as Muslims heading to and from prayers at the mosque cross paths with parades of monks in their bright orange robes; just down the road, take a glimpse at the Cathedral of the Immaculate Conception. Food is good here, too. Like its eastern compatriot Rayong, Chanthaburi is renowned around Thailand for its top-quality fruit, and this is also the birthplace of the eponymous noodles that are a crucial ingredient in the most puritanical renditions of classic pad thai. Another consequence of Chanthaburi’s multiculturalism is that you’ll also find a number of restaurants run by local Muslim families, dishing up delicious curries, biryanis and other specialities hailing from Thailand’s Muslim-majority deep south. Though it does have a decent selection of family-friendly attractions these days, there’s little denying that Pattaya exudes a sleazy reputation for good reason, and it wouldn’t be our first recommendation for a getaway with the kids. That said, it’s quick and easy to reach from Bangkok by bus, minivan, train, or taxi, and sights like the out-there Ripley’s Believe It or Not museum, the new Cartoon Network Amazone Waterpark, and the more sedate Nong Nooch Botanical Garden and impressive Sanctuary of Truth temple can make Pattaya worth a quick visit. Of course, Pattaya is also on the coast and has an expansive strip of sand – just don’t expect the cleanest, quietest or most pristine beaches you’ll find in Thailand. Where are your favourite destinations in eastern Thailand? Let us know in the comments!